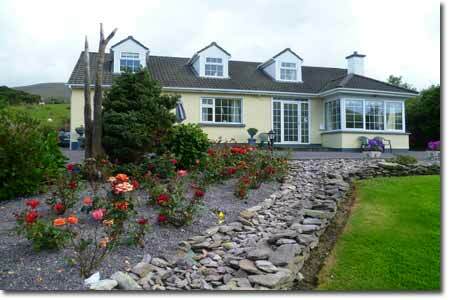 Forest View House is a family run bed and breakfast, 1km from scenic Glenbeigh village. A night or more here is the perfect base for exploring the local area and the many attractions and outdoor pursuits it has to offer. 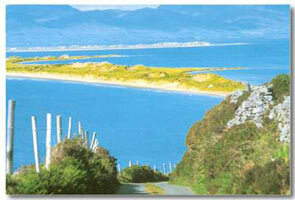 It is also an ideal location for touring the Ring of Kerry. At Forest View we do our utmost to ensure you have a relaxing and enjoyable holiday, combining friendly and efficient service in order to provide high standards of accommodation. All bedrooms are tastefully decorated with comfort in mind. 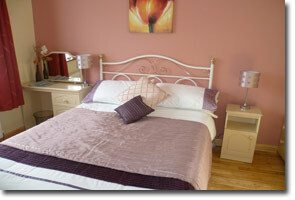 Each room is en suite and equipped with television, hairdryer and tea/coffee making facilities. 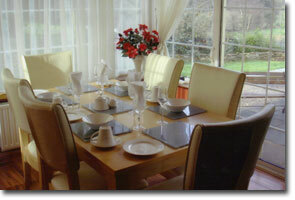 There is a large attractive garden to relax in and panoramic forest views. Tours of local area can be booked, for example Skellig Rock. Forest View is located 1km from Glenbeigh where you can enjoy traditional music and excellent food in the pubs and restaurant. There are many beaches close to the area including the beautiful Rossbeigh beach. For those interested in walking, the house is located on the famous Kerry Way. For more information on local activities please see our Local Area page. 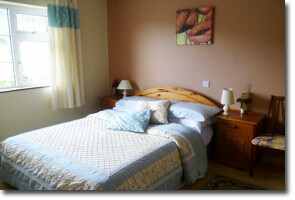 Forest View is located 1km from Glenbeigh village on the main Ring of Kerry road (N72). The house is well sign posted.